Party season is here, and you know what goes great with Champagne (or let’s face it, prosecco)? Not chips and salsa. Yeah we know, you got the fancy blue tortilla chips from Whole Foods. But we think you can do better, so we asked a bunch of chefs for their favorite easy appetizers. All of these dishes look really impressive but require no more than five ingredients. So you’ll actually be telling the truth when you’re all like “Oh this? It’s just a little something I threw together.” Happy hosting. How to make it: Cut the top off a small pumpkin and scoop it out. Season with salt, sugar and nutmeg, put the top back on and roast. Heat milk on the stove to just under a boil and whisk in a pack of Velveeta. Turn the heat to low and add Gruyere a bit at a time until you reach a good, thick consistency. 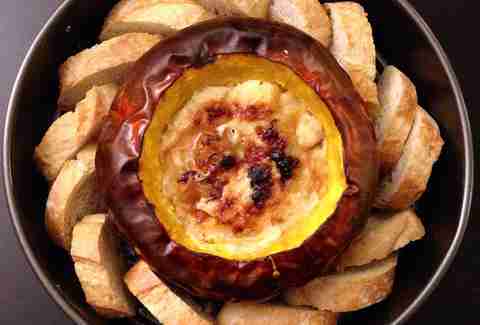 Transfer into the pumpkin, put the lid on and warm in the oven before serving. How to make it: Toast baguette slices and roast cubed butternut in the oven. You can do them at the same time as long as you keep an eye on them. Spread ricotta on the toast, top with a few cubes of squash, drizzle with honey, and sprinkle with salt. 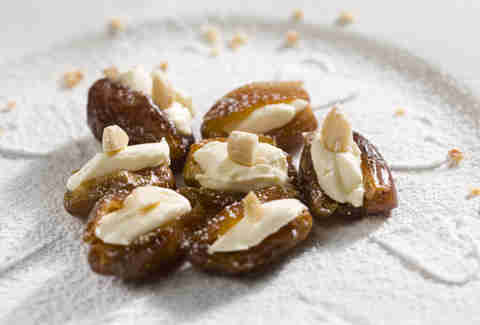 How to make it: Get some fancy Marcona almonds and good quality dates. Stuff each date with a few almonds and then warm them on the stove. Serve them still warm with a sprinkle of flaky sea salt and some freshly grated lime zest. 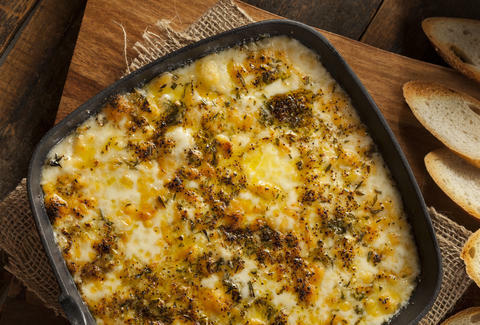 How to make it: Put cubed fontina cheese in a cast iron skillet or baking dish, top with sliced garlic, thyme leaves and olive oil. Broil until it’s melted and bubbly enough to scoop up. Serve with crackers or nice, crusty bread. How to make it: Get a cheese, something pickled, olives, canned seafood (like anchovies or boquerones) and a vegetable (like roasted red peppers or marinated artichoke). Take a wooden cocktail skewer and start mixing and matching. 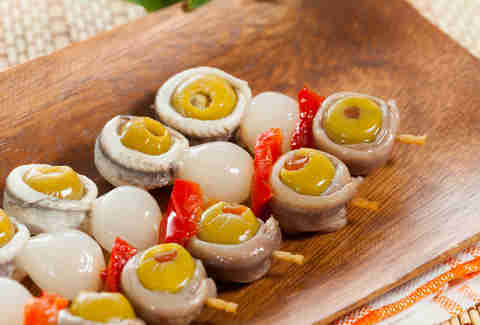 Stick to three items per skewer so it fits in your mouth, and put something that won’t slide off at the end, like an olive or chunk of cheese. How to make it: Cut beef (Reilly says sirloin is great) and guanciale into similar sized cubes. Thread onto a soaked wooden skewer and marinate for a couple of hours in salsa verde. Broil the skewers for about 4 minutes on each side. Serve with more salsa verde spread on top. 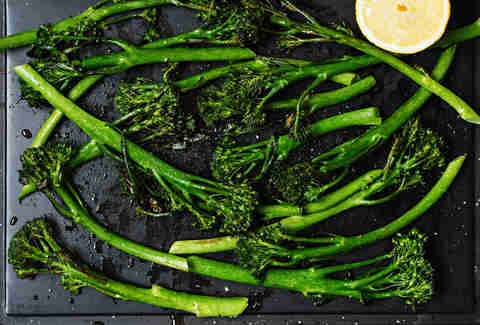 How to make it: Blanch and drain the broccolini, then place them in a really hot pan with a bit of oil. Don’t move them until one side is charred black. Once they’re done, turn off the heat and add olive oil, sliced garlic, chili flakes, salt and a bit of vinegar to deglaze the pan and then stir it altogether. How to make it: Boil potatoes and crush into small pieces. Mix with grated montasio cheese and sauteed onions. Cook the mixture in a pan on high heat, flipping it like a pancake so it’s crispy on both sides. Cut into wedges and serve with a drizzle of vinegar and chopped cilantro. 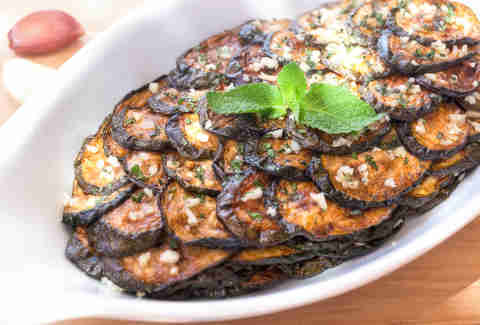 How to make it: Cut zucchini into slices and fry until they’re a dark golden brown. Drain the excess oil and toss with salt, vinegar, mint leaves and garlic. Garnish with more mint leaves and serve with toothpicks, or just eat them with your hands. How to make it: Chop up two packs of smoked trout and mix with sour cream or Greek yogurt, whole grain mustard and a bit of sugar. Mix by hand for a chunky dip or pulse a couple of times in a food processor for a smoother consistency. Garnish with sriracha and cilantro. How to make it: Heat coconut oil in a large cast iron pan until it’s smoking. 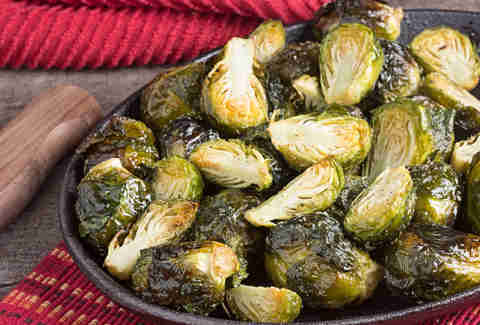 Add quartered Brussels sprouts to the pan and brown on all sides. Toss with salt, Sambal chili paste, grapefruit zest and grapefruit juice. Gulotta says you can add the warm coconut oil from the pan for more richness. How to make it: Combine cheese, cream cheese, garlic, butter and a German pilsner in a food processor. Fry recommends serving it with old-school crackers like saltines or Ritz for the full Mad Men effect. 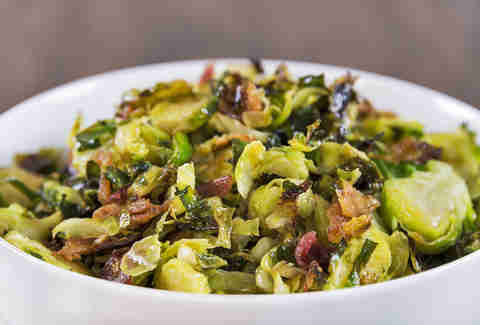 How to make it: Shred or finely chop half a pound of Brussels sprouts and a large red onion. To serve, toss with a couple capfuls of apple cider vinegar, olive oil, and salt and pepper. Sarah Theeboom is a freelance food, lifestyle, and travel writer. Graduating from prosecco to champagne is one of her life goals. Follow her on Instagram or Twitter.